New York Developer Spotlight Series: Brian Ray, Alchemy-ABR Investment Partners – National Realty Club, Inc.
Brian Ray is co-founder and managing partner of Alchemy-ABR Investment Partners as well as ABR Partners, LLC a New York based real estate investment and development company. Brian is responsible for sourcing, equity raising, financing, deal structuring, as well as asset and project oversight, for the company’s acquisition and development activities. Throughout his twenty year career, Brian has acquired, developed, and managed properties with a value exceeding $3B. Prior to founding ABR Partners in 2006, Brian spent more than a decade working with a variety of New York City real estate companies including RFR Holdings, Tishman Speyer, and Inlet Capital. At RFR Holdings, Brian was actively involved in the acquisition, development, and asset management of a wide range of projects including 40 Bond Street, 25 Fifth Avenue, 122 Greenwich Avenue, Gramercy Park Hotel & Condos, Lever House, Seagram’s Building, Empire Condominium, 125 Fifth Avenue, Charter Oak Partners Portfolio, Desert Passage Mall Las Vegas, 95 & 99 Wall Street, 980 Madison Avenue, W Hotel Miami, Banc of America Plaza SC, White Birch Paper, 67 Vestry Street, and Emerald Dunes Country Club West Palm Beach, Florida. At Inlet Capital, an affiliate of RFR, Brian represented the interests of developers in matters involving senior and junior mortgage debt, corporate mezzanine and subordinated capital, corporate financing, private equity and asset management. His efforts also included asset management, underwriting and financial analysis for the NYLIM-GCR mezzanine fund. At Tishman Speyer, Brian oversaw property and asset management for six Class A office properties including One Rockefeller Center, Rockefeller Center’s British & French Buildings, 600 Fifth Avenue, 375 Hudson Street, 300 Park Avenue and 237 Park Avenue. He also actively participated in the pre-development of the Hearst Tower, 222 East 41st Street and 101 West End Avenue; the acquisitions of Rockefeller Center, Chrysler Center, 300 Park Avenue and 666 Fifth Avenue; and the repositioning and redevelopments of the Rockefeller Center retail complex as well as the disposition of Gateway Center in Newark, NJ. Brian has served as an Adjunct Professor and remains actively involved in NYU’s Real Estate Institute. He holds a Bachelor’s degree from George Washington University and a Master of Science degree in Real Estate from NYU. Brian was a recipient of NYU’s Lambda Alpha International Service Award for his contributions to the community, university, and program. 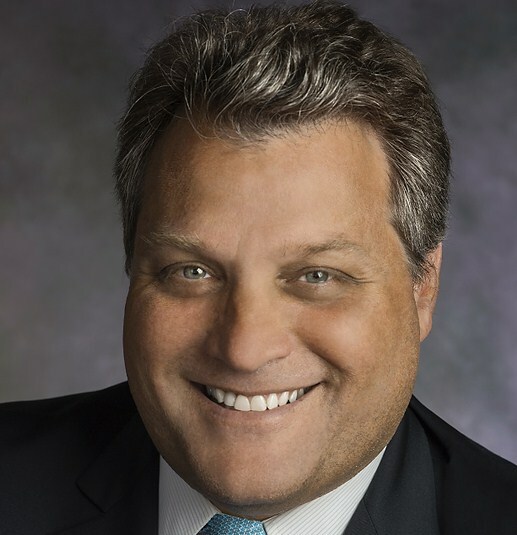 He is actively involved in professional and charitable endeavors including REBNY, ULI, UJA, and State of Israel Bonds and currently serves on the advisory board for the George Washington University Center for Real Estate and Urban Analysis. He lives in Manhattan with his wife Allison, their daughter Sammie and son Max.